In preparation to build a new layout centered on Erie's Harlem Station in NYC, I decided to kitbash a Lindberg Coast Guard tugboat we didn't use on our club layout. I could have built it as is, but I know myself and decided to tweak it a little bit... and finally it ended a plain bashing session. The prototype is named Chicago: a 1913 tugboat built and modified to navigate Harlem River. 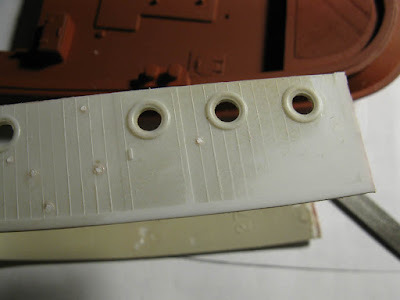 The Lindberg hull is almost a perfect match and thus worth the effort. 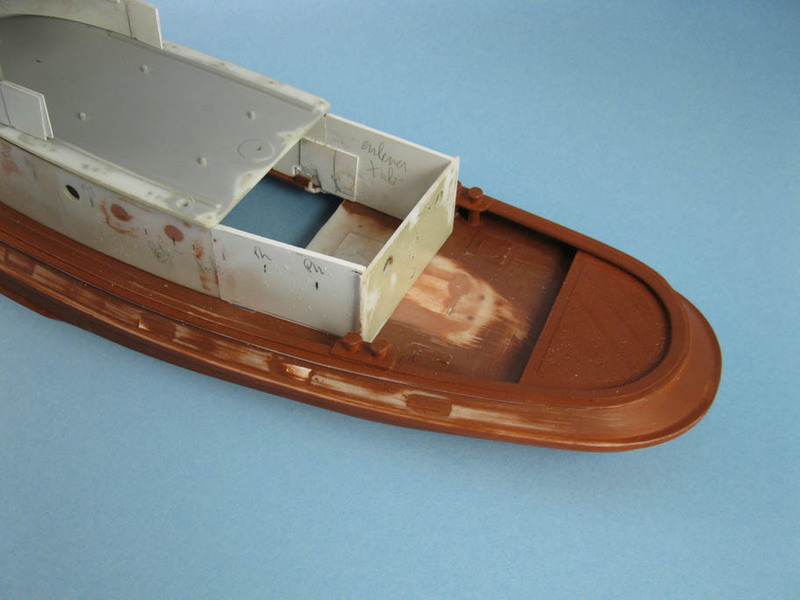 The plastic model is a wooden ship, but I sanded down the wood plank texture to make it a steel vessel. 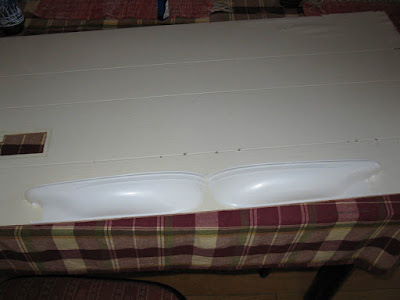 The hull was cut on my table saw to get a waterline model. 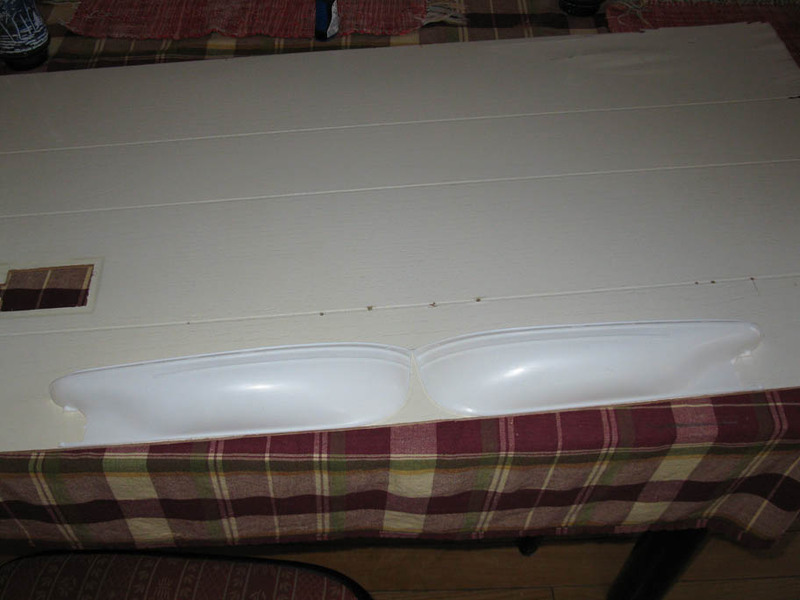 Each half was securely glued on a plank of lauan 1/8" plywood before the surgery. Extreme caution must be exerted. It is a small operation, but plastic is always unpredictable under the blade. 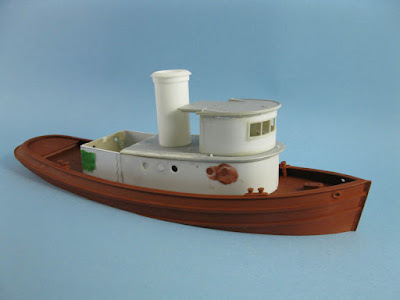 Main modifications include lenghtening the superstructure, removing the winch and bashing the wheelhouse. I'll also have to bash the steam stack (round) into a diesel one (ovale). 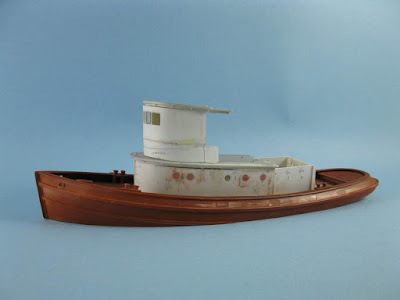 BTW, Lindberg label the kit as 1/72, but I did extensive measurement and I can say the only 1/72 are the sailor figures!